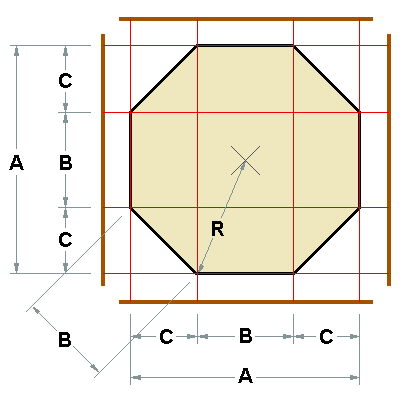 A very simple and easy to use calculator for calculating the sides on an octagon. Perfect if you for example want to build your own poker table. Just enter one side and the rest of them will be calculated so you have the whole layout.